So round four of my F1 2009 Wii Edition career was at the Bahrain International Circuit, and I wasn’t at all confident following practice and qualifying. China had been a race of good qualifying followed by going backwards. Bahrain was shaping up to be bad qualifying and a bad race. This is very a track made for speed. I had thought this would suit me but I was very, very wrong. 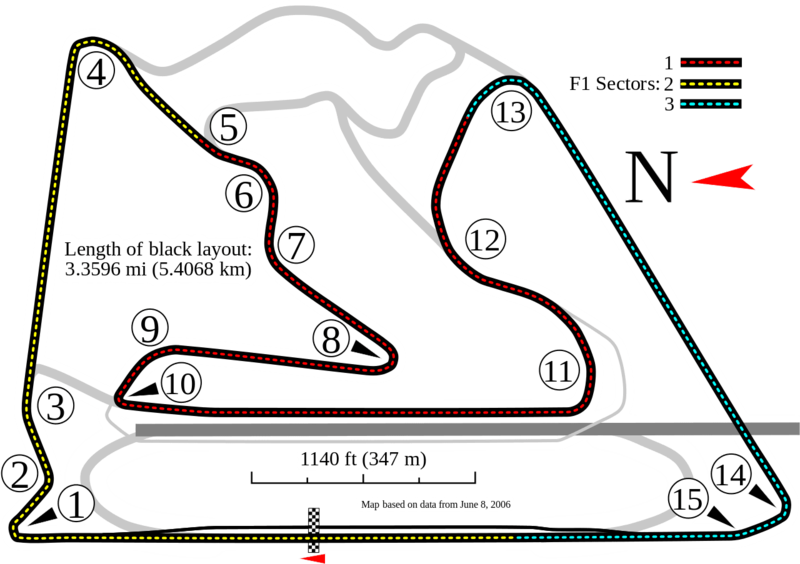 Turns 8 and 10 were the trickiest for me here – I would either run wide at those turns or be too cautious going into them, with the end result being plenty of lost time. I could only qualify in 16th (my worst qualifying of the season so far), and I suspected I would wind up with no points. Instead, I was able to surge by several cars on the first corner, taking advantage of the AI’s tendency to be hard on braking (especially when close to other cars), and I got past some more across the opening lap. A generally controlled race saw me ultimately finish a very satisfying 3rd, which might have even been 2nd, but for a rear-left puncture, that scuppered that possibility. Still, 6 points gained after a disastrous qualifying session was a result!